This article is about the guest star. 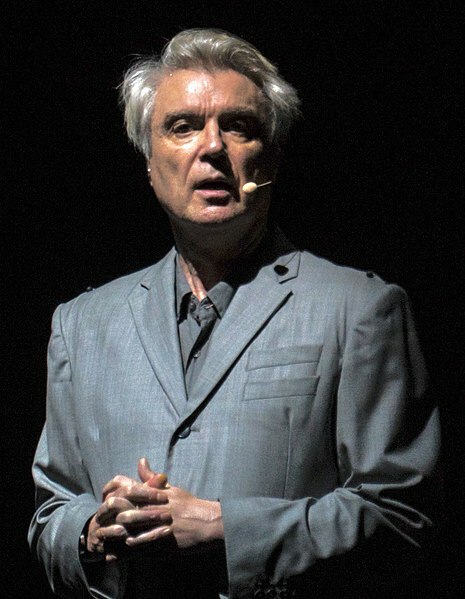 For the character, see David Byrne (character). David Byrne (born May 14, 1952) is a Scottish actor, artist, director, film and record producer, musician, and singer-songwriter. He voiced himself in the season 14 episode "Dude, Where's My Ranch?" and sung "Dream Operator", with Glenn Close, in the season 23 episode "How I Wet Your Mother".